> Barry Company has a full stock of tools needed to get any job or application completed efficiently. 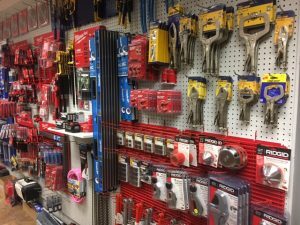 We are a brick and mortar company that can supply various tools including: Power tools(cutting/drilling), Pipe machines/stands, hand tools, drill bits, anchors and safety protocol gear. Barry Company is a factory authorized wholesale supplier of the following brand names: Milwaukee, Lenox, Bosch, Ridgid Tool, Wright Tool, Powers Anchors, Alfa Tools and Diamond Products. 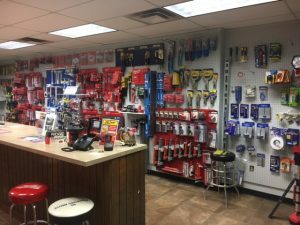 > We have a knowledgeable tool staff at the Indianapolis location that can provide you with any help needed!